Team Mousetalgia goes back to the inbox to answer some of your emails, including: suggestions for taking a Disney trip with a large family with varied interests; collecting Disneyland souvenir books; which one question would we each ask Walt Disney if we could hop into a time machine; a solo trip report from an attraction-lover; autograph certificates of authenticity and what they mean; the runDisney Tower of Terror Bellhop speaks out; Disneyland’s stroller thieves, and getting over Disneyland disappointments; what to do when the family is finally “done with Disney”; and booking Good Neighbor suites versus staying at Paradise Pier – plus our usual bits ‘n bites. Happy holidays from Team Mousetalgia! 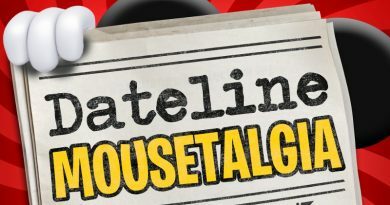 Dateline Mousetalgia – Episode 33 – Mardi Gras at Disneyland Resort!